Joe Pilates was a gymnast turned boxer. When he was first developing and refining his methods of “Contrology,” he was in interment camps during WWI and was limited to working only with men. His goal was to get them physically fit thru comprehensive physical exercises with a minimal use of equipment. After the war he returned to Germany and then made his way to America in 1926. Once in America, he continued to develop and grow his method of exercises alongside with his wife Clara. Joe taught a wide array of clientele from businessmen to the injured war veteran. Dancers quickly realized the merit of his conditioning system and came to his studio to strengthen and rehabilitate their bodies. Romana Krzyanowska came to him for an ankle injury at the age of 14 and eventually became his protégé. 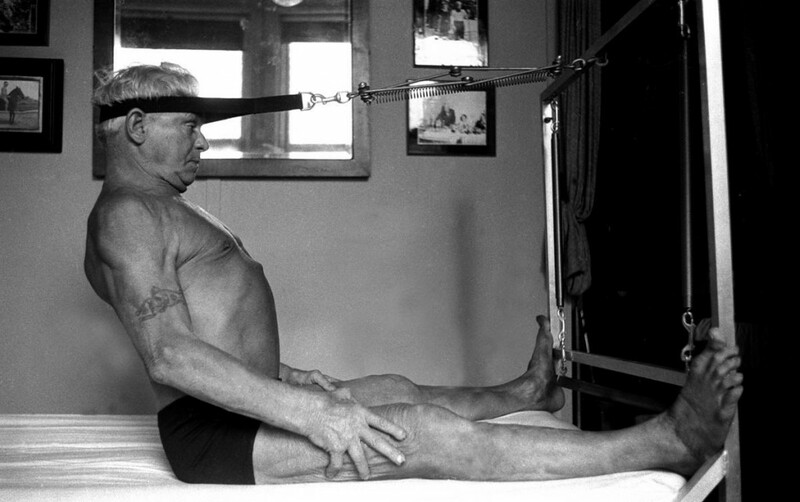 Joe taught the body in front of him his exercises, creating modifications and allowing each exercise to benefit the body in the way it is most needed. Pilates’ exercises allow clients to use their own gravity and opposition to create resistance in their muscles to strengthen and lengthen them. Today, Pilates has become a widely accepted form of exercise that has an abundance of benefits. Proper cueing, teaching and equipment allows the client to get the most out of their workout and change their bodies. Pilates gives people a well-rounded workout employing their mind, physical strength and perseverance.